Sudbury Rainbow Crime Stoppers is always looking for hard working, dedicated individuals to help as volunteers at our various fundraising events, bingo sessions and awareness booths. 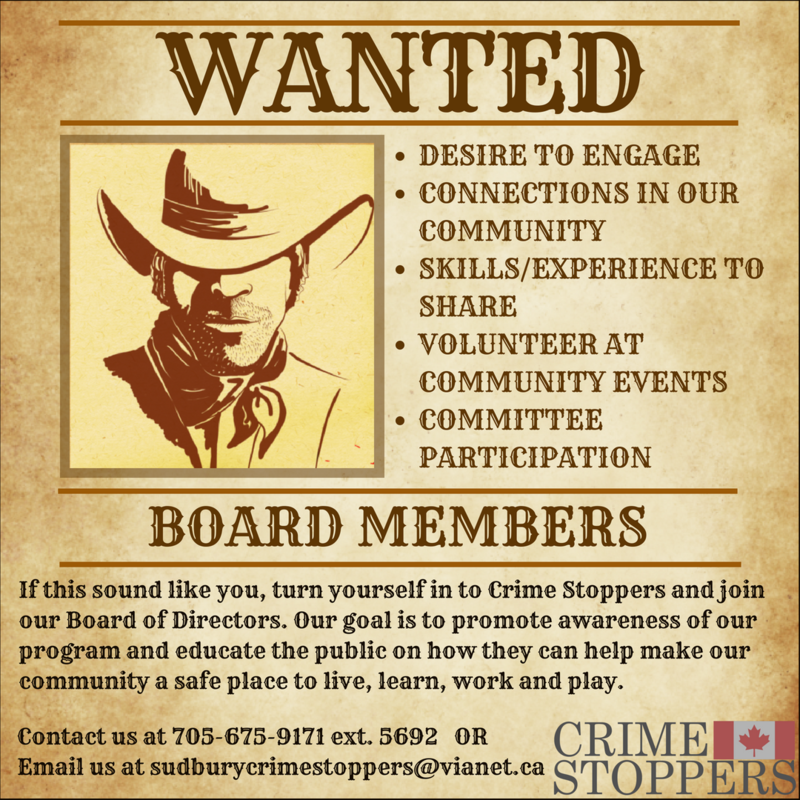 Sudbury Rainbow Crime Stoppers has a Working Board and can have up to 30 Directors. If you are interested in volunteering or joining the Board of Directors please complete our Online Application Form and we will contact you at our earliest convenience.